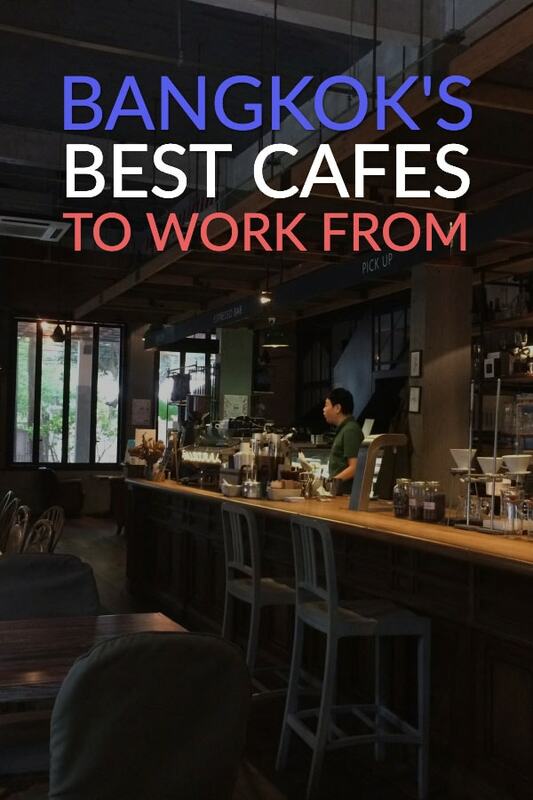 After a year and a half of living and working as a digital nomad in Bangkok, I had curated a list of the best cafes for working in. 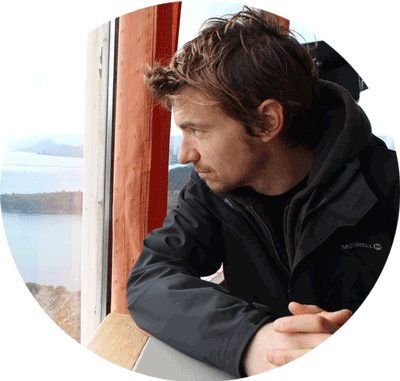 It’s an opinionated list, of course – coffee and workspace environments are subjective. Bangkok is one of the best cities in the world for digital nomads and lifestyle entrepreneurs. Fast internet, affordable accommodation, amazing food and more. Sometimes it's hard to get work done. But when you do need to put your head down, there are plenty of coffee shops to choose from. Here are some of the best. Workspace comfort – table tops that aren’t too high compared to the chair. Standing areas are a bonus (I try to stand while I work for at least 50% of the day). Ambient temperature – Frozen food-level chill blasting from the air conditioning (common in Thailand) is a turnoff. Cafes with no air conditioning are also impossible to work from. Coffee quality – awesome tasting coffee is important. Enough said. Wifi – reliable wifi is a must. It doesn’t have to be super fast, but wifi that doesn’t drop every few minutes is an essential feature of a good café for working from. Prices – Not a biggie but important, nonetheless. 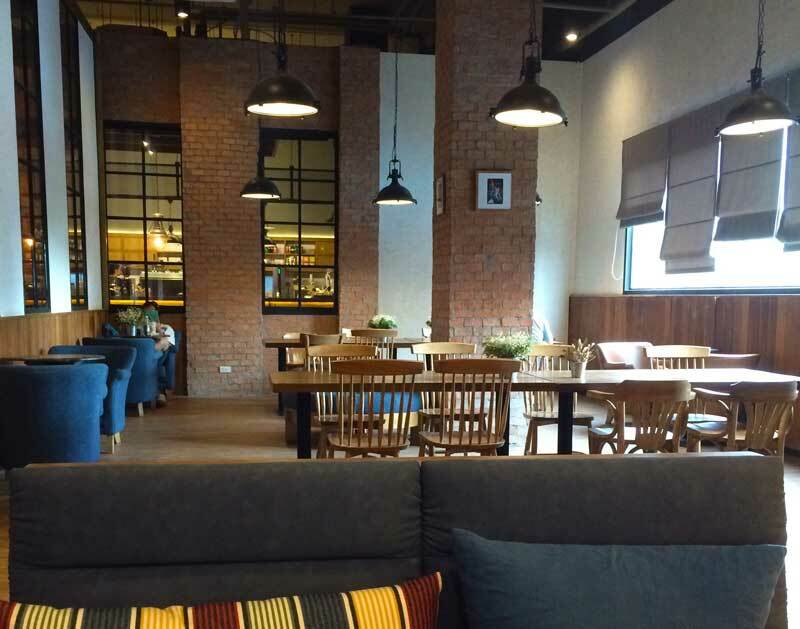 I have no problem paying $8 USD for a coffee (crazy expensive in Thailand) if I can spend as long as I want and the coffee is great, and the environment is conducive to work. I’d just like to start off the discussion by saying that I have a particular taste in coffee. I hate Starbucks coffee. I also have no love for the coffee served by most of the chain coffee stores such as Au Bon Pain, Coffee Club and the like. This isn’t out of some snobbish need to be exclusive. I just find the coffee from most chains to be watered down and bitter. In some cities in the USA, the cafe chains make delicious coffee and I’m happy to patronize them. But outside of the United States, it's harder to find them. I don't know why. Starbucks is always a beautiful place to relax. The design of the interior and everything about the place is great. Unfortunately, the coffee is dreadful. If they produced a nice cup of Joe I’d be a huge fan, despite the high prices. A chilled out cafe about 500m down Soi Ari near Phrom Phong BTS. 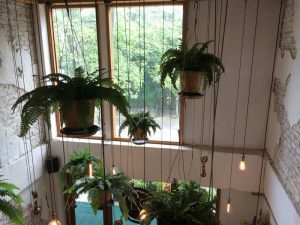 The cafe is part of a hostel, coworking space, and a restaurant. They cover all the bases here but it seems to work. The cafe has several sections and an outdoor space for beers (or whatever your beverage might be). The decor is appealing with low lighting from well-placed bulbs, high ceilings, and natural light at most of the tables. I enjoyed the food here. It's a little pricey but the quality is good and the service is great. 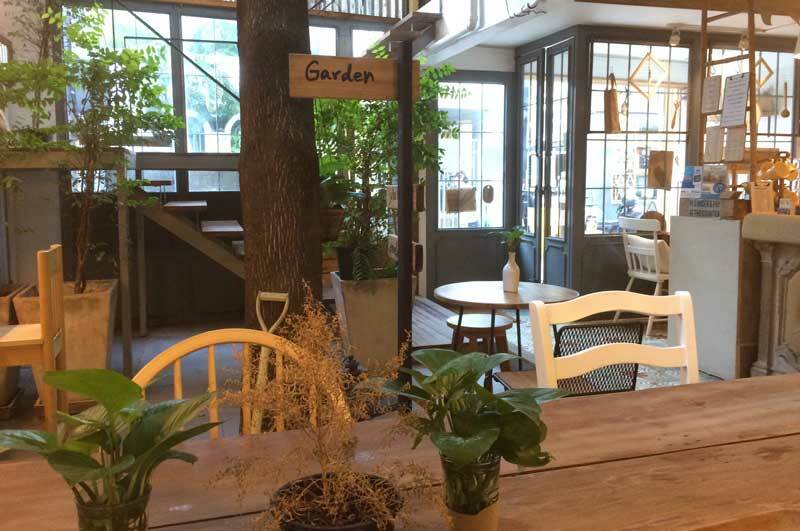 A very light and airy cafe with large trees, plants and a few Buddhist shrines outside the huge windows. A tiny place on Soi 38 right beside Hand & Hearts cafe. 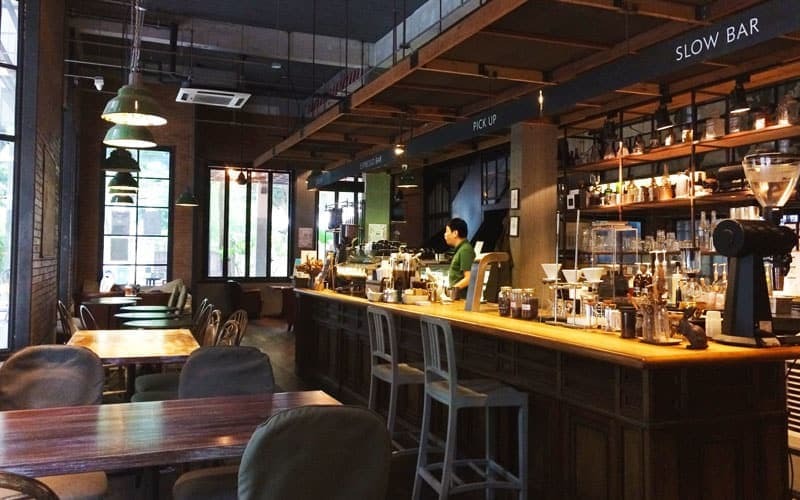 (H&H charge 140 Baht for a coffee, which is more expensive than in Europe). However, the coffee isn’t the best. The tables are a little wobbly too. Great if you live in Thong Lor and want to get away from the popular spots. A couple of sockets here and there for power – suitable for most people￼. A small place but nicely laid out. They’re making good use of the space. On a couple of occasions, full-on party music was blasting from speakers at 8 am This might get some people motivated but it's distracting. One day, the guy next to me left in a fit of rage, so I guess it bothered him too. The desks suffer from the problem that most places in Thailand have. You need to perch with your hands high, tyrannosaurus rex style to type. After a few minutes I can already feel fatigue in my wrists and shoulders. Why is this? I found this place looking for cafes that open earlier than the 9 am or 10 am opening times most coffee stores in Bangkok adhere to. When I most need coffee, it’s hard to find. Probably the best cup of coffee I’ve tasted in Bangkok so they’re definitely doing something right. They also offer decaf coffee, one of the few places besides Starbucks to do so. I found the desks a little high to work from. After a short while working on my MacBook began to experience should and wrist pain. I wish someone would solve this eternal problem. Asians are short so I can’t understand why they make tables so high everyone except the very tall needs a perch to type. A new place in the super trendy Thong Lo area of Bangkok. There’s an outdoor seating area and a nicely cooled, airy, and bright indoor area. A big cafe, hidden away at the top of the ￼Major Ekammai mall. It's always empty except around movie times (the cafe is right beside the cinema) and in the evening. The coffee is pretty good and the staff is helpful. Lots of seating space and natural light. The coffee is pretty good too. In the mid-range price. Casa Lapin also does some snacks/treats and meals. 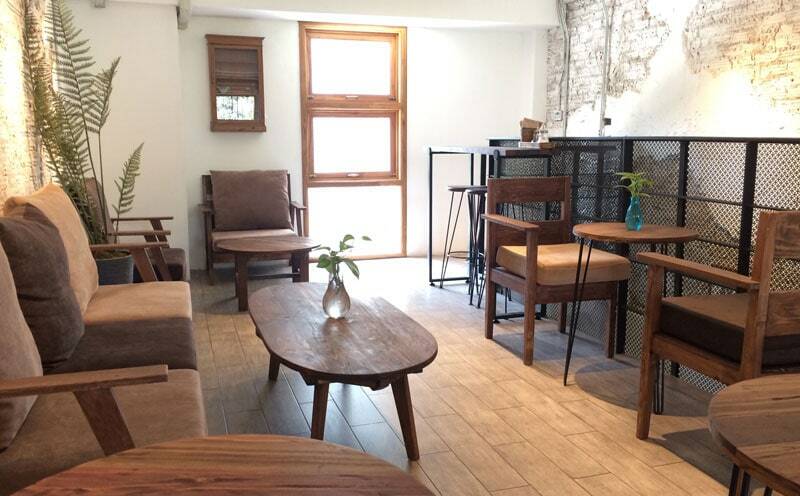 Staff are friendly and there're tons of space – long tables, comfy chairs, and a few different spaces to choose from. Unfortunately, the internet doesn’t match the high standard set by the decor, service, and coffee. I asked the waitress about the poor speed and she restarted the router. This made things faster but nothing I could really use if I was doing any kind of bandwidth-intensive work. A nicely lit space with plenty of seats arranged in different formats. There’s a high communal table near the back. I'm not a fan of malls but Terminal 21 has a great food court and this cafe. So it's worth the trip. 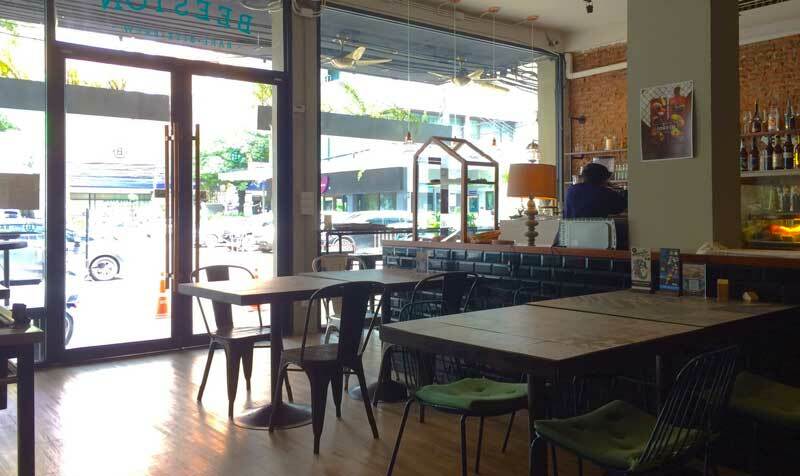 Located about a ten-minute walk from Sukhumvit, Brainwake is a standard cafe for the zone but it does have excellent coffee. Seating is reasonably comfortable and there's a good choice of chairs. They keep the temperature higher than most places so this might put off some people. It can get a little warm in there thanks to the large full height windows. Another cafe that's a bit harder to get to but worth the visit if you live in the Phra Khanong/On Nut/Bang Chak area. Craft Cafe is always empty. I'm not sure why this is but I'll guess the location has a lot to do with it. They probably get zero foot traffic. I found the place from a Google search and I jsut happened to be staying near by. Lots of seating options – comfy chairs, benches, standing desks. Fast Wifi – It sometimes drops but when it works, the internet speed is great. Quiet – If you need to get away from noise and people, this is a good spot to do it. I don't recommend the food but they have a good selection of teas and other drinks. Power: Enough for the usual handful of people that visit. Lovely interior, all wooden and bare. Makes it feel new and fresh. Staff are a little sour. Not unfriendly but not exactly radiating joy. This one’s a bit further out than most people will be prepared to go. I used to live in On Nut (a great part of town to stay), and there’s a little cafe hidden away in plain sight on Sukhumvit 77. 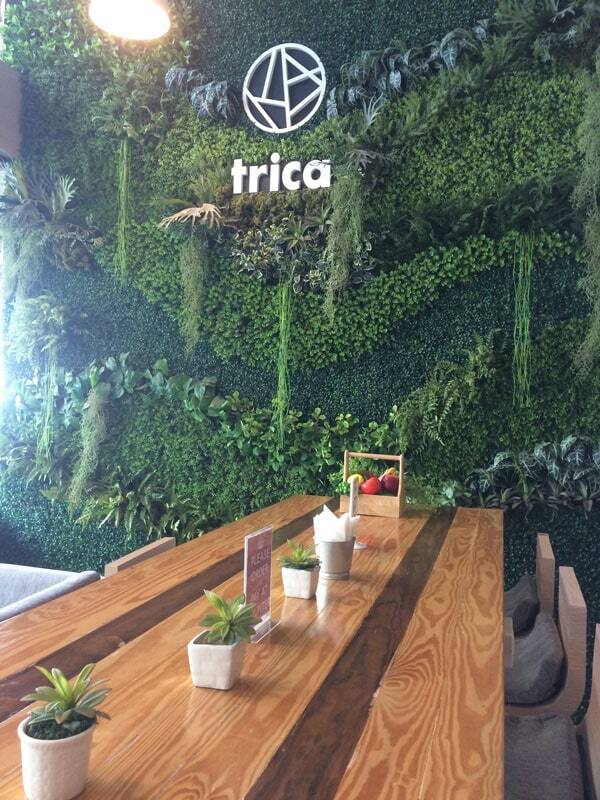 Trick Cafe is part of Trica Hostel. I can’t comment on the quality of the hostel but the cafe is excellent. It’s like a mini coworking space. The coffee rocks, the long table in the middle works as a workspace perch and a standing desk. There are plug sockets for everyone and the wifi is fast. I've spent hours in this place and always found it a very comfortable coffee shop to work from. To get to Trica Cafe, get the BTS to On Nut, take the stairs on the opposite side to Tesco Lotus. Walk towards Soi 77 and walk past the Big C. You’ll find the hostel & cafe on the same side as the Big C before you meet the small bridge. Spacious place with nice tables and seats. Temperature isn’t too hot or cold. Coffee is delicious. Nice background music playing at a good level. Fast internet. Power points on some walls beside the table top. 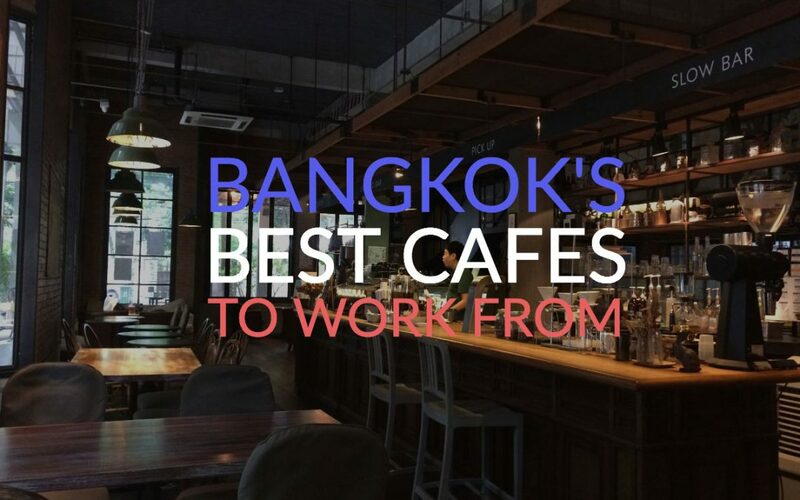 Do you have any favourite cafes in Bangkok that you'd like to share?